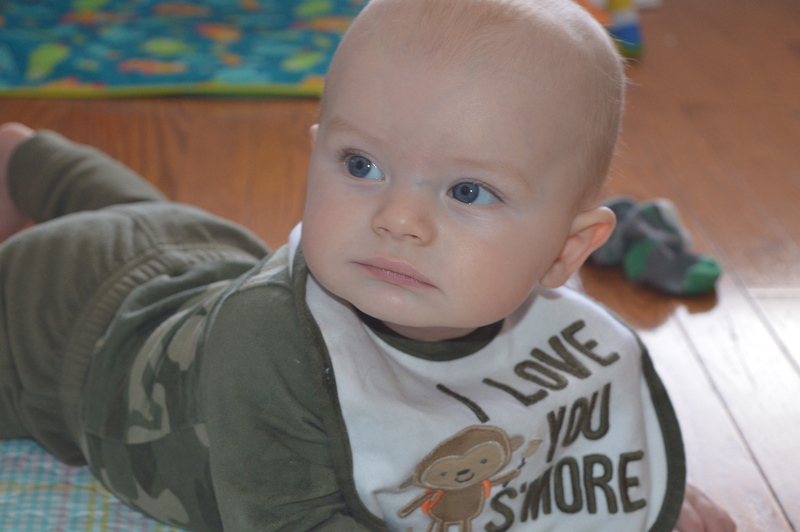 Eight months ago, one of my very first blog posts was about Nate’s four month check up. I talked about his weight, his height, how well he took his shots. You know, the typical stuff a mom likes to brag about. Well, never in my wildest dreams did I think eight months would go by so fast but here I am today, blogging about Nate’s 12 month check up! Yep! 12 month check up! Holy cow Batman! Where did the time even go!? That picture right there was taken when we got home from his four month appointment. How the heck was he ever THAT small! The scariest part about looking back at these pictures is knowing that he used to be even smaller! I remember writing up that four month blog post and thinking “Wow! He’s so big now!” because he had grown so much since his two month appointment. So now, looking back at these pictures part of me wants to cry because now he’s SOOOO BIG! I know in a year or two or three I’ll be looking back at his one year pictures and thinking “He used to be so small!” but for now, he’s big to me! And here is my big boy at 12 months old! 12 whole months! Actually he’s approaching 12.5 months to be exact! Haha I swore to myself a long time ago that I won’t be “that mom” that still classifies her child by how many months they are. Like if he’s three, I won’t tell people he’s 36 months old. So fingers crossed I remain true to that promise I made myself. Mainly, because I’m terrible with math and would have to constantly be counting on my fingers how many months old he is! 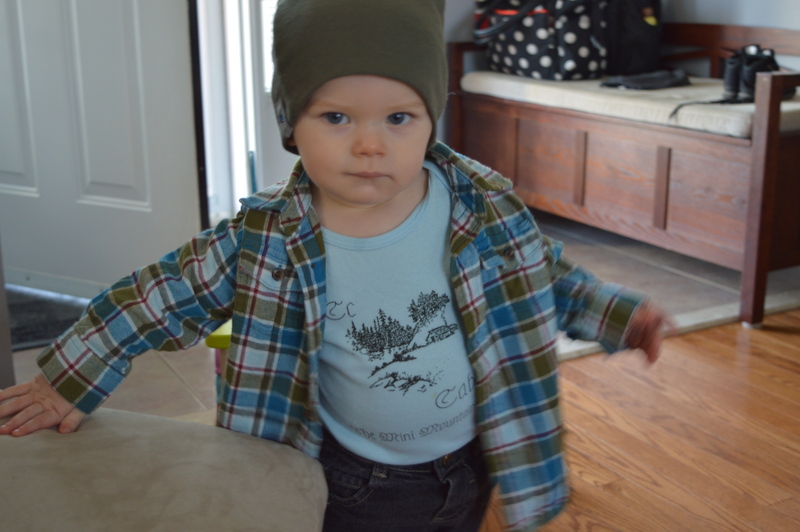 Haha well, back to Mr. Natey-Nate’s 12 month appointment… He now weighs 22.14 lbs and stands roughly 29.5 inches tall. I’m not sure I fully believe his weight because he was 22 lbs at his nine month appointment and he was lifting his head a bit off the scale so I think he was kind of cheating! We had to take at least five measurements of his height too because he’s just waaaay too wiggly. I swear, the poor doctor’s assistant was getting so flustered because she couldn’t get an accurate recording. We ended up averaging out all five measurements which gave us 29.5! He was 28.5 inches at nine months so that makes sense to me he’d be up about an inch now. He got his shots today too and took them like a little champ! Well, as much of a champ as a baby can be. He did cry a little bit when he got poked the first time but he wasn’t too hard done by it; then with the second one however, it apparently stings much worse and his poor little face went all red and then he just let out a huge scream! When they were over I picked him up and he just wrapped his legs around me as tight as he could and buried his face into my neck. It took him a minute or two to come around but then he was right as rain and was giving out smiles to our doctor. Wow! 12 months have come and gone! Holy smokes! I can’t imagine where we’ll be at his next appointment which is at 15 months! Previous Post Nate’s First Birthday Party!